If you’ve seen the comical 2004 movie “Sideways” about the exploits of two buddies on a wine-country getaway, you won’t forget Miles Raymond’s blistering remarks about Merlot wines (and his star-struck endorsement of Pinot Noir). “If anybody orders Merlot, I’m leaving. I am NOT drinking any (expletive) Merlot,” Miles tells his friend Jack before they go on a double date with two attractive women. It was a humorous moment that even Merlot fans found amusing, though Miles’ slam temporarily sent sales of the beloved red wine down the drain. Miles clearly didn’t know what he was talking about. A fine, well-aged Merlot can be a spectacular experience, as any fan of Bordeaux wines can attest. 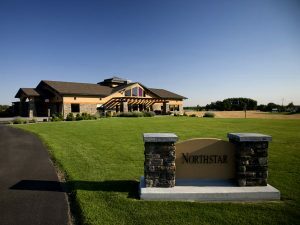 Walla Walla’s Northstar Winery, one of Washington State’s top producers of Merlot, is developing what it hopes will be the state’s best Merlot, whimsically dubbed “The Big Dipper”– a wine to rival a classic “Right Bank” Bordeaux in terms of finesse and age-ability. Something astronomical. 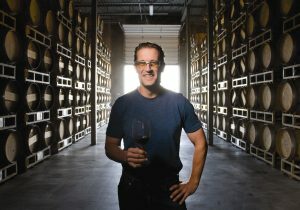 That’s a pretty lofty goal, but Northstar has a reputation for superb Merlots, and with talented winemaker David Merfeld at the helm, there’s an excellent chance the Walla Walla winery will deliver on its promise — and prove Miles simply had a bad attitude. As a fan of Merlot wines, as well as a student of wine marketing, I’ve been intrigued by The Big Dipper project. Merlot is known for its robust smoothness and plum- and berry-like flavors. And despite what Miles (played by actor Paul Giamatti) said in “Sideways,” Merlot is a noble varietal with a devoted following. In fact, Miles closed the movie by downing a bottle of 1961Chateau Cheval Blanc, a prized, merlot-based wine he had been saving for a 10th wedding anniversary that never happened. Perhaps it was lingering heartbreak that colored his view of Merlot. Merfeld, whose nickname is “Merf,” is creating the high-end Big Dipper Merlot from premium grapes sourced in Walla Walla and other Washington wine-growing areas. 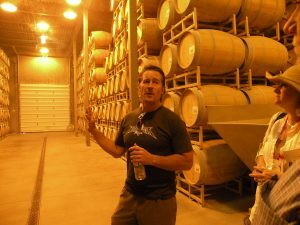 The wine is expected to reach the retail market in the fall of 2012 and will likely sell out. 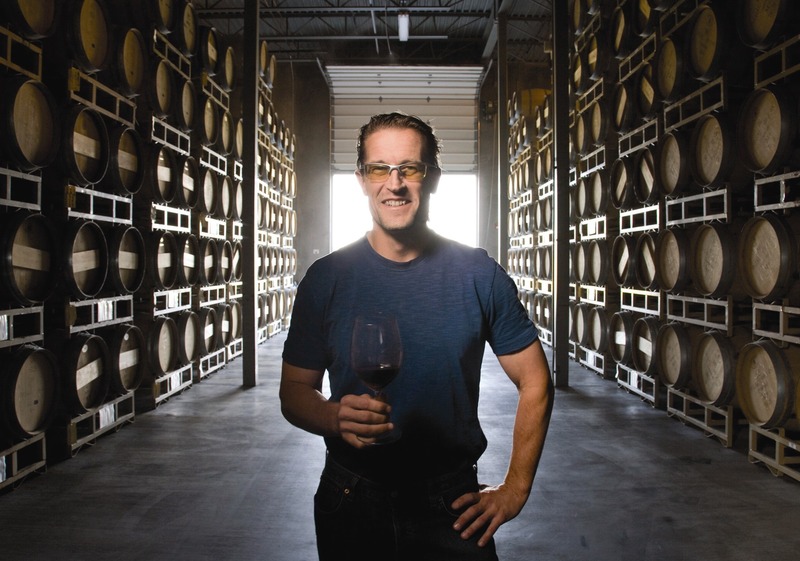 Merfeld’s mission is to create a collectible, knock-your-socks-off Merlot for discriminating wine enthusiasts such as himself — a wine that’s “built to last,” in his words. “I want to make a wine that I can drink on my porch in 10, 15, 30 years,” Merfeld said in a phone interview. The Big Dipper project is a blend of expert winemaking, skillful marketing and great storytelling. 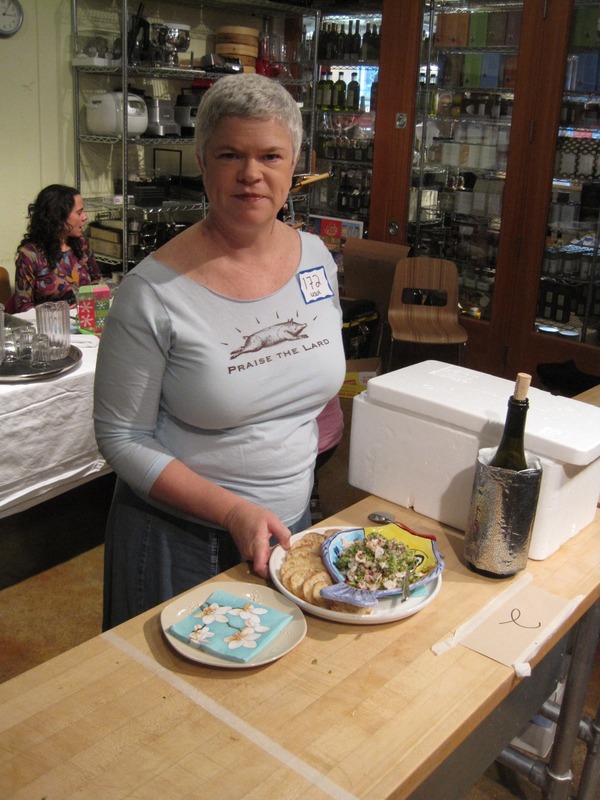 Providing the storyline for the Merlot project is award-winning Seattle food writer Leslie Kelly, who has been writing “The Big Dipper Chronicles” for the Northstar Web site since 2009. She is now working on her seventh chapter. Check out her blog here. “Consumers and critics agree,” Kelly writes in the first installment. “Northstar Winery in Walla Walla makes great Merlot. So how do you make a great wine even better? “Northstar winemaker David ‘Merf’ Merfeld set his sights sky high for The Big Dipper Project, the winery’s inaugural effort to make Washington State’s best Merlot starting with the 2009 vintage. Kelly describes the chronicles as a long-term story-telling project. It’s no surprise that Kelly is a Merlot fan who loves to pair the wine with some of her favorite foods. Visit Kelly’s Whining & Dining blog here. Despite his extensive experience as a winemaker, Merfeld has an endearing sense of innocence about the Big Dipper project. His inspiration was actually a 1983 Cold Creek Cabernet Sauvignon by Chateau Ste. Michelle that someone had squirreled away. So what does it take to make a ground-breaking, limited-release Merlot? “I think you’ve gotta think outside the box and go back to some of the old practices,” Merfeld said. “Small, hands-on (production). But the bottom line is it goes back to our vineyards in Washington State. It can sound cliche, but it really is a great climate for growing fruit, and it can’t be said enough. “That’s where this project is coming from. It wouldn’t be possible if we weren’t in Washington State and using the amazing fruit we get here. We’re just taking a few extra steps to make it into a great product and do some barrel fermentation and some concrete fermentation — and do some things outside the box. Merfeld put more than 300 miles on his truck touring the vineyards from which he would source grapes for the Big Dipper Merlot. What does he look for in the grapes? “Mainly the sugar, the acid and the tannin structure,” Merfeld said. “We use a lot of science and testing and numbers and evaluation and sampling. But it comes down to taste. And what I like. It’s basically a grape that’s maturing to the point where it is appealing to a bird to take and disperse it. It’s as simple as that. Grapes are picked earlier to assure lower alcohol and higher acid, improving age-ability. The finished product is influenced by the winemaker’s distinctive style. Merfeld’s “tools” include a small basket press, French oak barrels specially made for fermenting red wine and a concrete fermenting tank that Merfeld designed himself. The tank will promote cool, consistent fermentation. The basket press holds about 300 to 400 pounds of grapes. The concrete fermenting tank, dubbed the “C-4,” resembles a hot tub and is a lot less expensive than most commercial concrete fermenters. “I just went down to my local concrete guy here and had him make me one for $300,” Merfeld said. “My boss was very impressed and pleased when I told him how little I spent. When I was in school, I worked in construction. To me, concrete is concrete. It doesn’t have to be from France or California. And in terms of terroir, the aggregate that’s in this concrete is from the Walla Walla area. Merfeld is also using French oak barrels. Merfeld paid his dues in the beer industry before moving to wine. Merfeld got an apprenticeship from the American Brewers Guild and then began working with Bert Grant, the late microbrewery pioneer and operator of Grant’s Pub and Yakima Brewing, owned by Ste. Michelle Wine Estates. 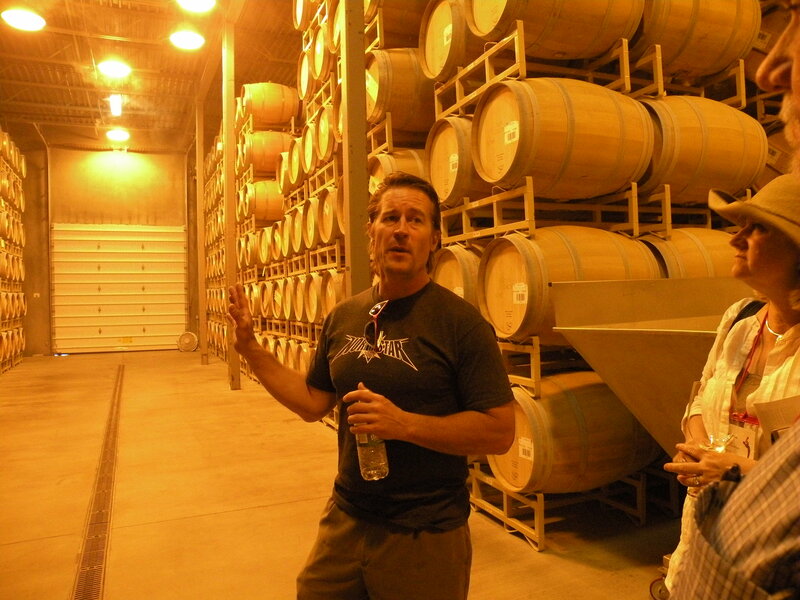 His work with Grant led to an invitation to learn wine making at Northstar. “I jumped on that in 2001 for my first harvest and never looked back,” he said. Merfeld is bullish on Washington State wines. Reminded of the movie “Sideways,” Merfeld chuckled. Merfeld is hoping for a sequel to “Sideways,” with Merlot as the star. For another perspective on Washington Merlot, read Lettie Teague’s column in Food & Wine. To read more about Washington State wines, visit the Washington Wine Commission Web site. I’m glad that I’ve found this https://www.genestout.com blog. Big thanks for taking the time to discuss this, it’s a useful info and I like to discover more on this. If possible, would you mind updating your blog with more information? It is quite helpful for me.